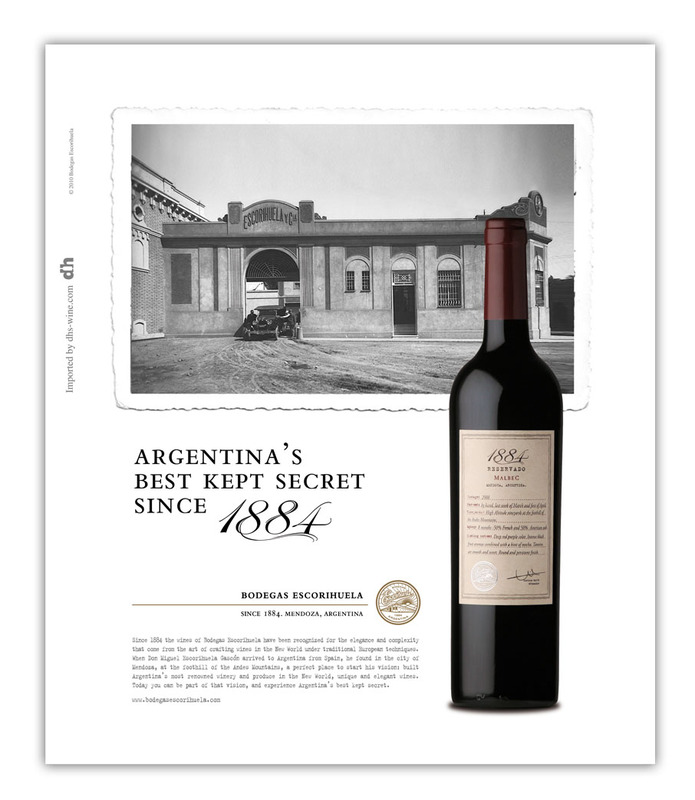 Esta es la nueva publicidad de 1884 Reservado Malbec que hicimos para la revista TASTE de Canada. Since 1884 the wines of Bodegas Escorihuela have been recognized for the elegance and complexity that come from the art of crafting wines in the New World under traditional European techniques. 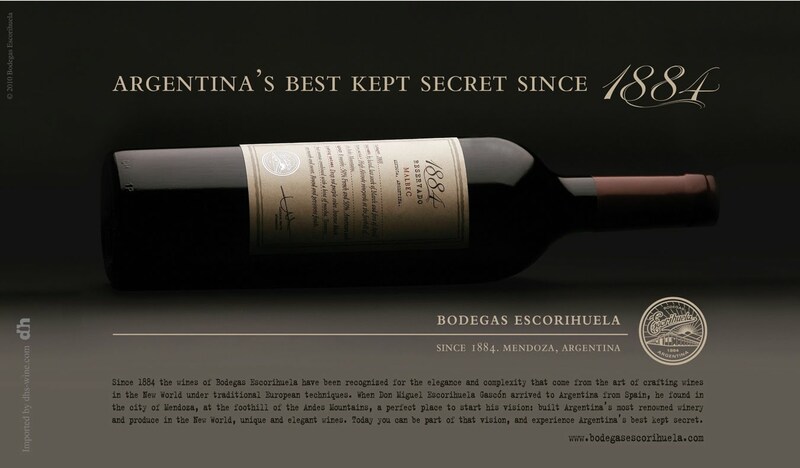 When Don Miguel Escorihuela Gascón arrived to Argentina from Spain, he found in the city of Mendoza, at the foothill of the Andes Mountains, a perfect place to start his vision: built Argentina’s most renowned winery and produce in the New World, unique and elegant wines. Today you can be part of that vision, and experience Argentina’s best keep secret.